Which NVC book is helpful to read? 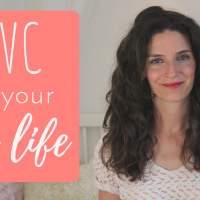 Whether you want to read it for yourself or you want to give a book to someone in the hopes that they might fall in love with NVC as well – this series is super helpful for you, because I’m gonna read all those books for you, and I’ll you whether it’s worth while to spend your cash on them. This time I’m reading Nonviolent Communication, A Language of Life by the founder of NVC himself: Marshall Rosenberg. When people tell me they read ‘the book’ they mean this one. It’s like sold like over a million times worldwide, and it’s been translated in over thirty languages. On the plus side I consider this a, you know, very solid general introduction to NVC. If you are looking for NVC in general to apply to your life in general, then this is very helpful, it is clear, there are exercises about the theory in each chapter, there are also fully written out dialogues so you can really see how NVC is being done in practice. The second plus of the book is something I really love, is that it contains really nice stories from Marshall. Marshall is really a storyteller. So for example there’s the story about when Marshall goes to this refugee camp in Israel, and there’s one of the people in the audience that calls him a murderer. And then he starts to listen empathically to this person, at the end the guy that called him a murderer invites him to his house. And so these stories I find them very moving, they’re very memorable, also you really incline to share them with other people. I heard people also criticizing his stories because they were too romanticized or something, but I don’t care, I just like them. And then for the down sides – I noticed that there’s a bit lack of applicability in this book. Like when you just start to learn NVC, you’ll probably be scared to try it out. But there’s nothing about how to deal with that. 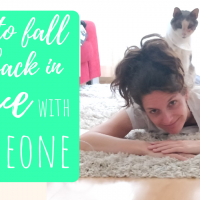 And if you’re just starting out doing NVC you’ll probably run into people, you know, having resistance – or, that will always be the case I guess, but what do you do with that? So what I noticed is that a lot of also the examples that Marshall is using are from the training room. So there he is as a very you know, experienced trainer, with people that are very willing to learn NVC, and that’s not always the real life situation, right? So I feel like the book doesn’t really prepare you and kind of like help you to do it in real life. Also the exercises are never about your own examples, they just test you on the theory, and they don’t encourage you to try it out in real life. A second downside is that this book teaches you a lot about empathy, but it doesn’t really teach you about how to be more honest, which I consider you know like the other important ingredient for NVC. So if you’re naturally kind of very empathic and easily go to listening rather than expressing yourself, I feel there’s something missing in this book and I’m actually missing this from a lot of NVC sources, so it’s not really something specific to this book, but it’s just something that I made my mission basically, so that’s why I notice it when it’s not there. And the last downside for me is that the style is kind of formal. Just to give you an example I will read a sentence: As NVC replaces our old patterns of defending, withdrawing or attacking in the face of judgment and criticism, we come to perceive ourselves and others, as well as our intentions and relationships, in a new light. I guess you get what I mean: this is a little, you know, this is not how you usually speak. And I love it when a book, you know when it gives this sense as if though the author is talking to you. And he also – he doesn’t address the reader as ‘you’, so it feels a little like distant and formal to me. All in all I would say this is a really worthwhile book, like a solid start of your NVC journey, and next time I will talk about a book that is a little bit more practical. Might be interesting for you as well. Meanwhile I would love to hear what you think yourself of this book, maybe you read it already, let me know if you agree with my opinion or maybe you think completely differently about it. Also let me know if you have other books about NVC that you love – maybe I will refuse some of them or maybe this post can just become a really great inspiration for other people that want more to read. And please share this video with anyone you know that enjoys NVC or that maybe is kinda curious about it, so we can just spread NVC more and more. So see you next time. Ciao! Hi Marianne, I follow your Blog and I specifically found your sheet on children’s needs helpful with my 4-year (now 5-year)-old. Now about this book, I think that this is the book anyone should start with. There are plenty ones to go on, but this is the one to start. I didn’t mind about the language. If one has a good understanding of the English language (my native language is Greek) it’s no big deal. It’s actually an easy book to read, if you ask me. So I would disagree with you on that, because written language isn’t and shouldn’t be like the spoken language. I wouldn’t take a book seriously, if it were written in the spoken language. You mentioned the lack of applicability, as a drawback. I would like to remind readers that NVC is a language. Would anyone consider having learned any foreign language just by reading a book about it? No. It’s also why an NVC-weekend-course isn’t enough to make you fluent in NVC. Just like no one expects to speak, say, Portuguese after just a couple of days of studying it. It takes years of practice. People learn NVC at the pace they would learn a new foreign language. And the more they speak it and deal with it, the better they get. So this is just the book to teach the basics of this language. Lastly, I would love to hear more about what you mean with “how to be more honest”, you mentioned missing it in this book and in many NVC resources and I am not sure I understood what you exactly mean. Thank you for the opportunity to discuss about this book. This is practice for me! Thank you so much Marianne for your NVC work and inspiration. You really do a great job. The book ‘Stop met aardig zijn’ Thomas d’Ansembourg is een absolute aanrader en meer gericht naar het grote publiek. Marshall’s boek ‘Geweldloze Communicatie’ heb ik verschillende malen herlezen en steeds weer als verrijkend ervaren. Thanks, en yes I was planning on discussing that book as well! I loved to hear you speaking about Rosenberg’s book in such a well-balanced way with pros as well as cons (up to now I heard people speaking about that book as if it was kind of a bible). Thanks Birgit, happy to hear you liked the balance! I think the book you recommend is different, Ill check it out!